The IAM mourns the passing of trailblazing author and poet Maya Angelou, a literary voice who championed human and civil rights through several generations. She was 86. Angelou is best known for her 1969 autobiography, “I Know Why the Caged Bird Sings,” which chronicled the cruelty of the Jim Crow South. She worked closely with the likes of Rosa Parks, Malcolm X and Martin Luther King, Jr., who was assassinated on Angelou’s 40th birthday. 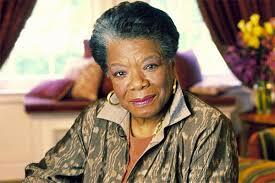 Click here to read more about the life of Maya Angelou.